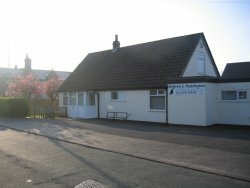 The practice has been established for over forty years, and has occupied the present building since 1989. Andy Hutcheson ran the Practice for over 30 years, and in April 2014 Paul, who had worked for Andy for 3 years took over the Practice. Our aim is to always provide the highest standards of veterinary care to our patients, and to meet the expectations of all our clients within a cheerful, caring, friendly and clean environment. To this end there is continual investment in equipment and training of vets, nursing and ancillary staff. Our Veterinary team continuously strive to maintain their current knowledge and skills base, so that they can provide your pet with the most upto date treatments. We set ourselves high standards to achieve and maintain. The Veterinary and nursing team regularly meet to ensure that we are meeting these standards, keeping up to date with modern practice, and are achieving high standards of practice in line with the wider veterinary profession. We are fortunate to occupy a fabulous large site on a main road, which for you means that we have ample parking, and plenty of space inside the Practice for caring for your pet.